‛Āshoorā’: Is it disliked to single out the 10th day of Muharram for fasting on its own? 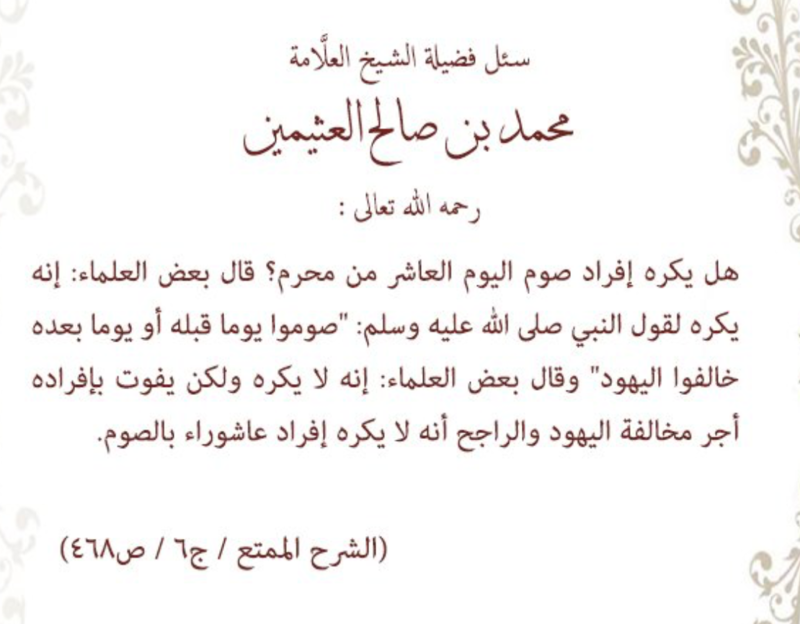 By Ibn ‛Uthaimeen. * i.e. The day of ‛Āshoorā’.